In an earlier post I warned against letting the weeds get established in your life – those habits that you let go or just leave for another day before you start doing something about them. The take away message for me was “do your work now” – get down on your hands and knees and work on the roots. Now without getting too personal, I should tell you I have a problem. With dandelions. Well, with a lot of weeds actually but the dandelions are threatening to take over the only piece of flat grass we have. Another summer unchecked and that would be the end of the grass – it would be dandelions as far as the eye can see. Early last month I made a start at removing them after rain had softened the soil. 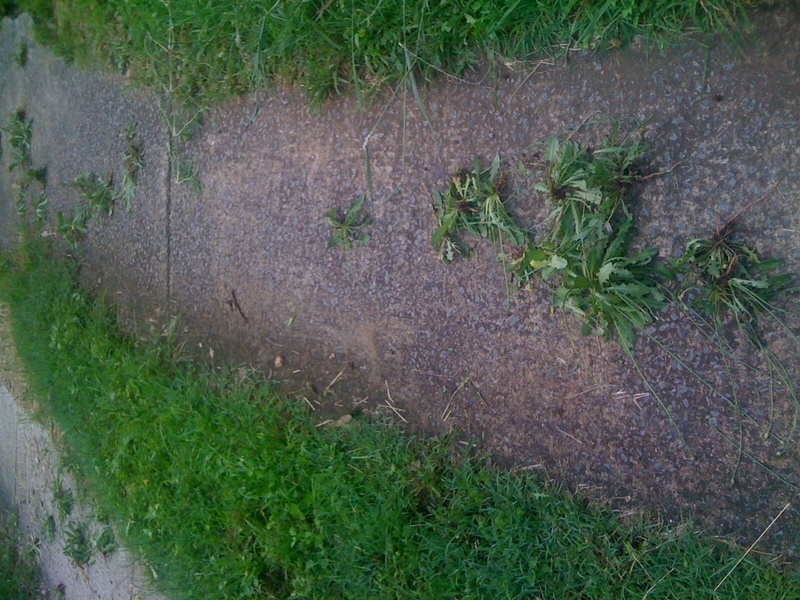 Grabbing the dandelions and trying to pull them out didn’t work, I just ripped the leaves off. Taking my own advice to heart, I wanted to make sure I removed them roots and all. So I did what us humans do best, I used a tool to loosen the roots. That is it on the top of the photo below. And it worked. Sort of. It made my job easier. It was more effective than just grabbing them and pulling. I got more done. But it was still hard work and I lost motivation after a while. Wanting to encourage my weeding activities, the boss provided me with a tool specifically designed to remove dandelions. It is the tool on the bottom of the photo above and it made all the difference. It was more effective and required less effort from me. It was easy to use! The result was that I got much more weeding done in a much shorter period … and I kept going. I worked longer, was motivated and happy to do it. There was a certain satisfaction in seeing the fruits of my labour strewn across the driveway. I am not dreading the next time I have to deal with the dandelions. I am motivated to do more. Do you have the right tools to do your work? 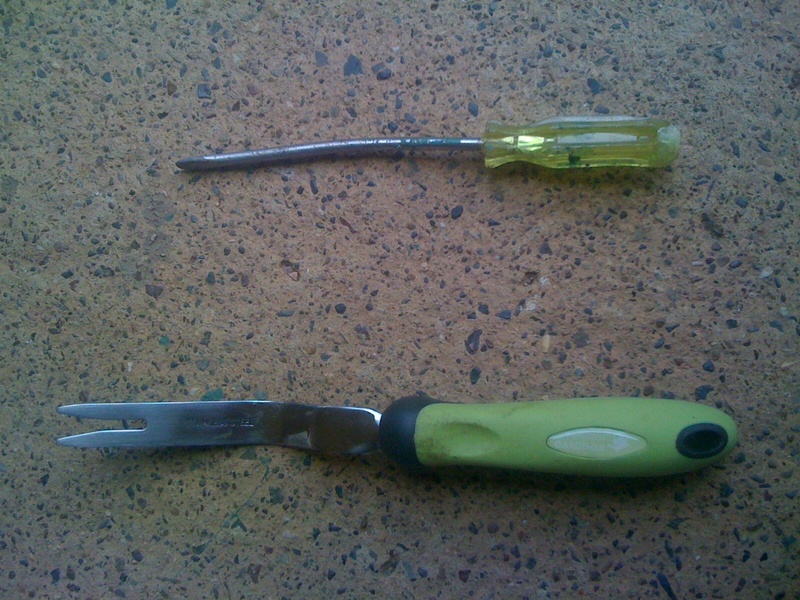 Or are you struggling along with the wrong tool, getting the job done but doing it inefficiently? If you are a leader in the workplace, do the people who are following you have the right tools to do the jobs you are asking them to do? Or are you building de-motivation into your workplace by providing them with tools that work – sort of? Maybe you already know the right tools are essential to get the best from your workforce. But have you considered that the right tools are essential to keeping your workforce? Whatever your role in your organisation, take a look at the tools you have and ask yourself and those around you if they are the best ones for the job at hand. Remember, hardware, software, policies and procedures are all the tools of your business. Are the tools you provide motivating the staff who use them to produce more … or is the only thing your tools are motivating your staff to do is refresh their CV? I completely agree with your post. Having the right tools is vital to working efficiently. I’ve often found that the hardest thing is finding the right tools, once you have discovered what works for you however, the dandelions stand no chance! Thanks for the comment Sarah and welcome. Seth Godin wrote in a blog post once (though I am sure that he was not the first) that the role of the boss is to do whatever they can to make it easier for the people who work for them to do their best work. I agree with him and you are right, it is tough to find the right tools. But once you do the results speak for themselves. Yes to the right tools Paul! And different for everyone. Different people will need different tools but as I commented to Sarah above, I think it is the job of those who would be leaders to do the work to find those tools. The flip side is of course that in large organisations it is impossible to have a different tool for each person to say, manage their documents. Then you are restricted to providing some flexibility in the way the tool can be applied (if that flexibility is appropriate – and some times it is not). Still, just because it is hard doesn’t excuse people from doing the work. If they don’t all they will end up with is a field full of dandelions!